Suitable Jackdaw roosts should be offered, especially where old buildings are renovated and structural changes are made. 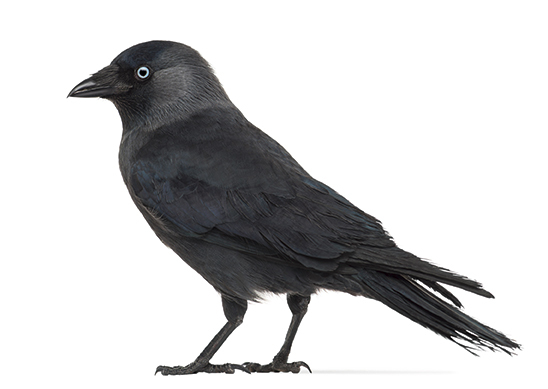 The Jackdaw, as a medium-sized Corvid, is very social and forms breeding colonies if the conditions are suitable. Based on the Jackdaw Nest Box No. 29, which has been used very successfully for more than 25 years, a more modern version has been developed especially for use on buildings. 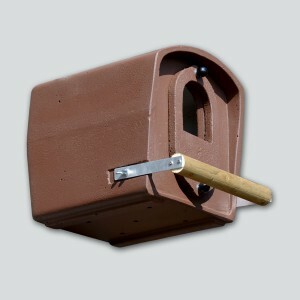 Nest Box 2CM is fixed onto the building wall with an X-bracket made of stainless steel. To this end, the X-bracket is screwed onto the wall with 4 screws (and wall plugs if necessary) and the Next Box is hung on the retaining hooks and secured with an additional locking screw. 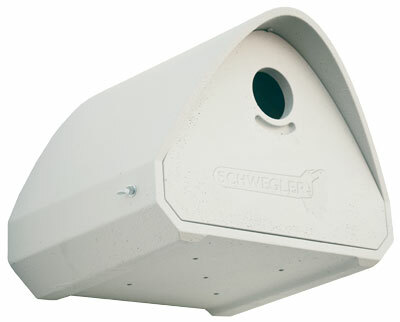 Alternatively, the Nest Box 2CM can also be installed in niches, on projections or on flat roofs without the X-bracket. The front panel can be removed completely by undoing the side wing screws. 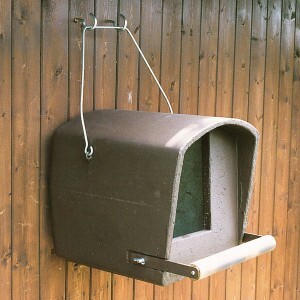 Because the screws are positioned to the side, away from the entrance, it is not possible for the Jackdaws to open the box. 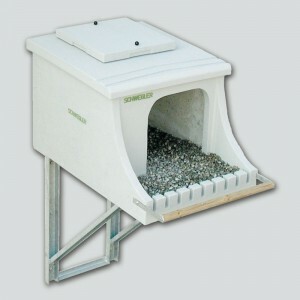 Includes: Nest Box, perch, X-bracket, screws, universal wall plugs (check on site whether the supplied screws are suitable for the substrate), locking screw, installation instructions. 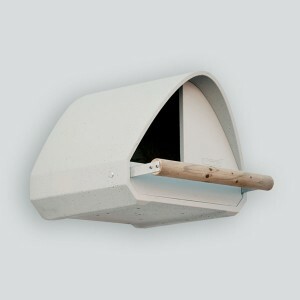 Material: Weather-resistant SCHWEGLER wood-concrete, stainless steel X-bracket. Installation: at least 6 – 8 m installation height, on the external walls of buildings, walls, chimneys, industrial plants. 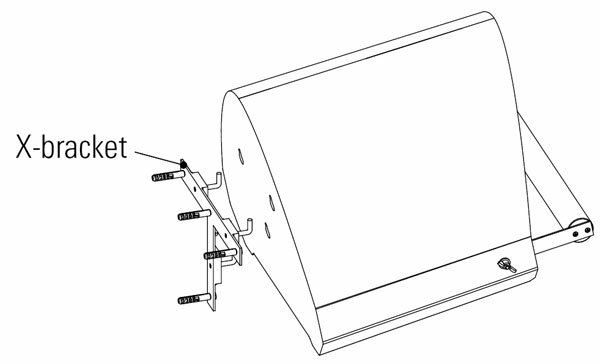 A mounting surface at least 30 cm wide is required. 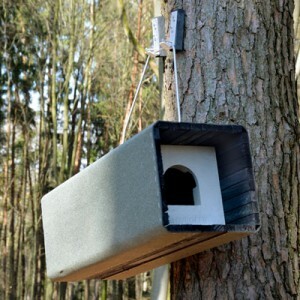 Distance between the nesting boxes: 1 – 2 m.
External dimensions: W 50 x H 37 x D 42 cm. Internal dimensions: W 30 x H 35 x D 31 cm (less taper).